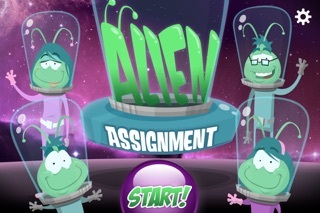 Alien Assignment is a must-have app! Download today; it is free (at time of this review). 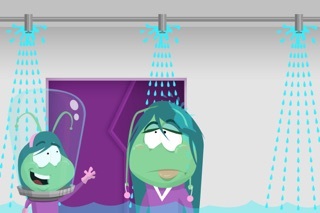 In this app, your child needs to the help the aliens fix their broken ship. The only way to fix the ship is to take pictures of objects around you to help the aliens. The app teaches your kids how to use your device’s camera, gives them short questions like “find something cold”, and sets them off on tasks around the house to capture an image. Parents play an important role as they check to make sure that the pictures match the given question. This is a delightful app that gets kids up, moving, thinking and interacting with trusted adults. The only quick fix we want is for there to be a skip button for the introduction, but it’s on the short side so kids don’t mind.